Teenagers have a variety of complex reputations. Some of them don't care about their study and just want to play video games and find a boyfriend/girlfriend. However, some of them have a strong sense of social responsibility and have made amazing achievements. 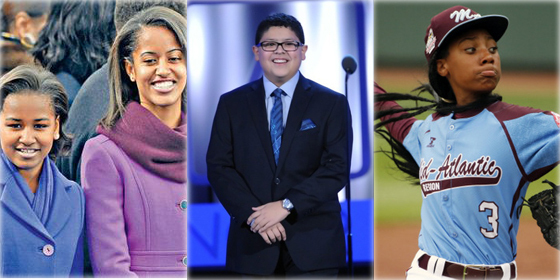 The 25 Most Influential Teens of 2014 compiled by Time magazine areall examples of amazing teenagers. Some of them have become professional sports players. Some of them are famous actors and singers. Others stand out for their special technological, business and culinary ability, and one even won the 2014 Nobel Peace Prize. Although they're young, their achievements leave many grown people in the dust.